Waking up whenever I want to on the weekends is bliss. Trying to stay awake and not be lulled into a nap is difficult, to say the least. I have projects to do, but while yawning my head off, I struggle to feel any sense of urgency to get them done. I will . . . just not yet. 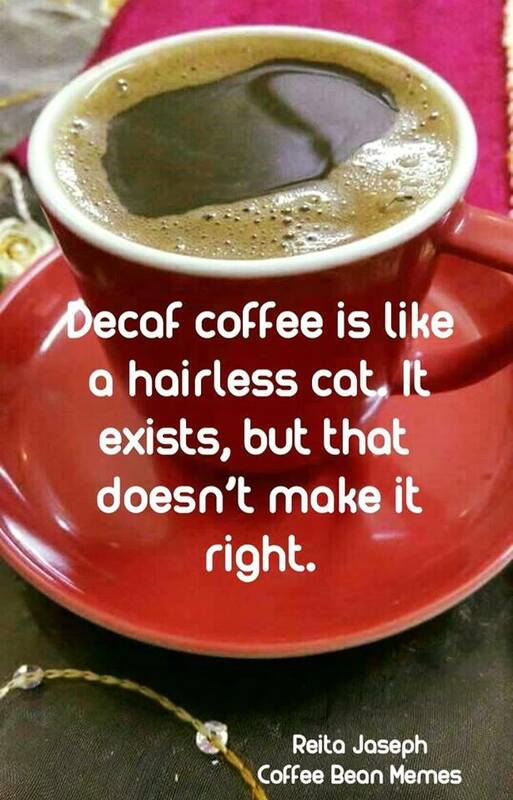 There is still coffee to drink. Last night Hubby and I went to town to get a few things and celebrated our 1 month on our eating plan with a splurge meal. If any of you have a restaurant near you that serves food from El Salvador, do yourselves a big favor/reward, and go. We went to dinner at a local place where I go fairly often for lunch with my office. Hubby had never been, so we went, and he really enjoyed it. That says a LOT since most of the time we both agree we can cook better at home than anything we typically get out in a restaurant. The big difference between what we had last night, and Mexican food is that the dishes are not cheese heavy, their spicing is different, and the emphasis is on fresh vegetables and simple flavor profiles. The exception would have been my chicken mole, I felt like my head was sweating from the spice, but it was SO good that I ate it anyway! If I’m going to spend money on a meal, I want to spend it on one we both walk away feeling good about, and this one definitely fit the bill. He doesn’t waver! Isn’t that comforting? 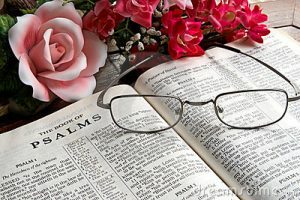 God is consistent, and in his consistency, he gives good gifts. He created the world in all its majesty and gave it to us to use. When sin strangled life, God gave us the promise and executed it through Abraham and the Israelites. When death claimed us, he gave us Jesus, crucified and resurrected, to give us the assurance of our victory over sin and death. There is no shadow in that brilliant light and we are assured that light will keep on shining! Are you a “God-seeker”? Through much of history, especially when things are going well or in times of great wickedness, God has not found many who seek after him. But he’s looking! He’s searching! It matters to him! Just as God walked with Adam and Eve in the cool of the day before sin destroyed their relationship, God longs to walk with us. But he’s looking for those whose hearts are yearning for his presence in their lives. So, let’s yearn! I know that the folks in the mid-west and east are sick of snow and winter, but our weather guessers have been predicting snow for this upcoming week and I am hoping that, for once, they are right. Actually, I hope they are only partially right. It’s supposed to snow, but not last long. I am hoping that it does indeed snow, and that we get absolutely dumped on! Who’s with me!?!? Candelmas / Feast of Purification – Celebrated on the Modern calendar – February 2nd; On the Julian calendar – February 15th – I admit that I don’t know that much about Catholic festivities, so I didn’t know anything at all about this one until a few years ago. I’d heard the name, but didn’t know what it was, but I’m glad that now I do. It’s interesting! 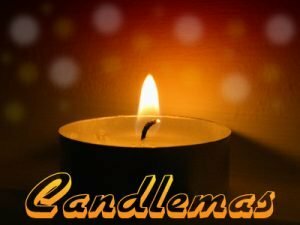 Candlemas is the last holiday of the Christmas season . . . bet you thought you were all done, right? It is the Christian celebration, or festival, of the Feast of the Purification of the Virgin Mary. It also is the annual blessing of the candles used by the church. So, what is the Feast of Purification? According to Jewish customs, women were considered to be “unclean” after the birth of a child. The unclean period lasted 40 days after a son was born, and 60 days after a daughter was born. (I didn’t say it was fair – just reporting the history!) Throughout this time, they were not allowed into the temple to worship. When their time was finished, the woman was brought into the temple and “purified” in a ceremony. After the birth of Jesus, Mary was purified on Candlemas/the Feast of the Purification. On Candlemas, candles used during the year are blessed. In Christian churches, candles represent Jesus Christ as the light, the truth and the way. I like the ceremony of it all – it completes the season perfectly. If Candlemas be fair and bright, Winter has another flight. If Candlemas brings clouds and rain, Winter will not come again. The site of the annual Groundhog event is Punxsutawney, Pennsylvania. Our little furry friend has been named Punxsutawney Phil. 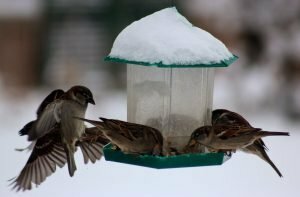 There are other winter/spring predictor’s around the country, but I get the impression that they are more like Santa’s helpers are to him – they do the job because Punxsutawney can’t be everywhere at once for all the people. Phil’s the top dog . . .um. . . hog. I found this trivia about Groundhog’s Day on this site – it’s pretty interesting! Yes, Punxsutawney Phil is the only true weather forecasting groundhog. The others are just impostors. There has been only one Punxsutawney Phil. Punxsutawney Phil gets his longevity from drinking “groundhog punch” (a secret recipe). One sip, which is administered every summer at the Groundhog Picnic, gives him seven more years of life. On February 2nd, Phil comes out of his burrow on Gobbler’s Knob, in front of thousands of faithful followers from all over the world, to predict the weather for the rest of the winter. According to legend, if Punxsutawney Phil sees his shadow, there will be six more weeks of winter weather. If he does not see his shadow, there will be an early spring. No, Punxsutawney Phil’s forecasts are not made in advance by the Inner Circle. After Phil emerges from his burrow on February 2nd, he speaks to the Groundhog Club President in Groundhogsese. His proclamation is then translated for the world. The celebration of Groundhog Day began with the Germans, Pennsylvania’s earliest settlers. They brought with them the legend of Candlemas Day, which states “For as the sun shines on Candlemas day, so far will the snow swirl in May…”. The settlers found that groundhogs were plentiful and were the most intelligent and sensible animal to carry on the legend of Candlemas Day. 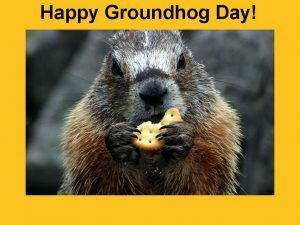 Punxsutawney held its first Groundhog Day in the 1800’s. The first official trek to Gobbler’s Knob made on February 2nd, 1887. In 2008 it will be the 122nd prediction. So, the story goes, Punxsutawney Phil was named after King Phillip. Prior to being called Phil, he was called Br’er Groundhog. Hedgehog Day – And here is yet another take on the whole rodent weather prediction method. Apparently long before we began looking forward to the spring forecast from Punxsutawney Phil in Pennsylvania, and Wiarton Willie in Ontario, there was another critter long before them who paved the way for them. The Romans observed similar weather prediction events 1000 years ago on the exact same day, but instead of using a groundhog, they used a Hedgehog! My daughter will like this one since she used to have a sweet little pet hedgehog named Peekaboo. The legend says “If during hibernation, he (the hedgehog) looks out of his den on 2nd February and sees his shadow it means there is a clear moon and six more weeks of winter, so he returns to his burrow. The difference between the ancient Roman event and the current version (except for the critter) is that the Romans took the hedgehog out at night to see if he saw his shadow under a clear moon. Since hedgehogs aren’t indigenous to North America, the groundhog was substituted instead. 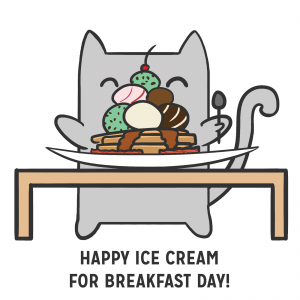 Ice Cream for Breakfast Day – I’m sure that eating ice cream for breakfast would be a dream come true for so many children. If you were to add eating hot dogs or pizza every night for dinner, they’d probably think they had a perfect life – at least as far as food is concerned. Even as an adult though, you have to admit that there is something pretty tempting and fun about the thought of having a bowl of ice cream first thing in the morning – and honestly, wouldn’t it balance well with your coffee? This special day was started in the 1960s by a housewife, Florence Rappaport, from New York. They believe the actual year was 1966 since a huge blizzard had hit that year, but the idea was that Florence’s 6 children were pretty bored one snowy, cold morning in February and she had to come up with something that excited and entertained them so they wouldn’t be so cranky. On the spur of the moment she said, “Let’s have ice cream for breakfast!” They loved it so much that the next February and snowy weather came around and they reminded her so they could celebrate it again. They did, and a special holiday was born. Doesn’t that sound like fun? This one was listed this year on today’s date, however last year it was listed as being February 18 – so maybe we get to celebrate it twice? We’ll see. Imbolc – I don’t typically write about pagan holidays, but sometimes I will run across one that intrigues me with its connection to Christianity. This one is a holiday that has a variety of names, depending on the culture or location you are studying. In the Irish Gaelic they call it Oimelc – which translated means “ewe’s milk”. It is the precursor to the end of winter when the ewes are nursing their newly born lambs. When that happens, spring and the planting season are right around the corner. To the Romans it is called Lupercalia – the time that is halfway between the Winter Solstice and the Spring Equinox. Theirs is a purification ritual that happens on February 15th, during which a goat was sacrificed, and a scourge made of its hide. Men dressed in thongs (I’m fairly certain thong meant something different then than it does now) ran through the city, whacking people with the bits of goat hide, and the people who were hit felt themselves to be fortunate. I don’t know WHY they felt it was fortunate, so I guess you’d have to be Roman back in the day to know. The ancient Egyptians celebrated this time as The Feast of Nut. According to the Book of The Dead, Nut was seen as a mother figure to the sun god Ra, who at sunrise was known as Khepera and took the form of a scarab beetle. When Ireland converted to Christianity it was difficult to convince people to stop worshiping their old gods, so the church allowed them to worship the goddess Brighid as a saint, which became St. Brigid’s Day. Today there are many churches around the world that bear the name of St. Brigid. So, let’s look a bit at The Goddess Brighid, shall we? She was the keeper of the sacred flame, the guardian of home and hearth. To honor her, purification and cleaning was a wonderful way to get ready for the coming of spring, and doesn’t that sound familiar to all of us? Spring cleaning is an annual ritual in most households! In addition to fire, she was a goddess that was connected to inspiration and creativity. In modern Paganism, Brighid is seen as part of the triune of maiden/mother/crone. She is said to walk the earth on the eve of her day, and before going to bed each member of the household is to leave a piece of clothing outside for her to bless. At night before bed people are to rake their ashes in their fireplaces to make them smooth, and when they get up in the morning look for a mark on the ashes, which is a sign that she passed by in the night or the morning. The clothing is brought inside and now has the power of healing and protection. Interesting, isn’t it? 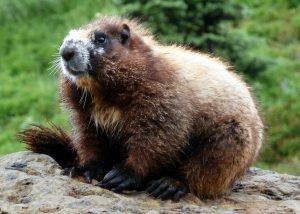 Marmot Day – This seems to be a day to celebrate furry critters! Marmots are large squirrel-like animals, similar to groundhogs, woodchucks and ground squirrels. Even though they are found all over the world, from Canada to Mexico and from Russia to India, they don’t seem to get the attention that they deserve. Because of that, in 2002, Marmot Day was set up to celebrate them. It is actually an official holiday in Alaska, and typically involves a family dinner where Marmot jokes and stories are shared (there are Marmot jokes?). In Michigan they have a Marmot Day festival which has all sorts of family activities and a marmot video contest. How fun! We need one of those festivals around here! Sled Dog Day – Sled dogs have been an important part of human society since the 10th century, and they have a big part of the history of North American and Europe. The Iditarod Sled Dog Race is held annually in Alaska, and covers 1161 miles from Willow, AK to Nome, AK. 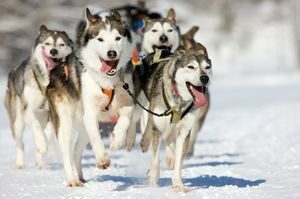 Teams typically have 16 dogs and they work together with their musher (the guy on the sled). The race has received criticism from people advocating animal welfare, but seriously, those dogs are very well taken care of by their owners and this race holds the spirit of the human-canine partnership in an age-old tradition. During a diphtheria epidemic in 1925 in Nome, AK, the Inuit children were especially susceptible to the disease. The antitoxin was 100s of miles away. Balto, a now famous sled dog, guided his Norwegian musher Gunnar Kaasen on the last leg of the “Great Race of Mercy”, which turned out to be a heroic mission to deliver the life-saving trip to deliver the serum needed by those children. There weren’t any available planes to make that journey from Seward to Nome, and the serum was sent by train the first 298 miles. The last 674 miles of the trip were divided between sled dog teams who ran in relays, with Balto and Kaasen arriving in Nome on February 2nd at 5:30 a.m. Balto and Kaasen may have run the final leg of the journey, but Leonhard Seppala and his lead dog, Togo, covered the longest and most dangerous part of the trip. We celebrate this day to honor the sled dog heroes, both those we know and those we don’t. Sled dogs are usually Alaskan Malamutes, West Greenland Huskies, East Greenland Huskies, Mackenzie River Huskies, and Greenland Dogs, though there is a wide range of dogs used in sled races, from poodles to mixed breeds. (I hope they mean standard poodles!) This celebration of sled dogs is worldwide, so let’s use this day to maybe look up some stories about them and appreciate the sacrifice and dedication that these dogs have had throughout human history and be happy for the partnership of such committed companions. Take Your Child to the Library Day – I actually had someone ask me not that long ago if there really were libraries still open! Seriously? Apparently, they hadn’t been to one for years, and downloaded all of their “books” online. I was shocked and a bit sad by this. I love libraries. I especially love the big, old ones. There’s something about the hush in the air, the sense of all of that knowledge, entertainment and lands of the imagination between all of those covers, in all of those books. It was always my favorite place in school, and honestly, I still feel that sense of awe when I walk into a library now as an adult. Take your child to the library, let them sit and listen to kids’ story hour, introduce them to the world through books. As books disappear from our society to be replaced by online information, it is more important than ever to preserve this medium for future generations. I do have to admit that as an Amazon Prime member I get one e-book a month for free, and there are quite a few free books on Amazon that I can enjoy, so though I prefer an actual handheld paper book, I do indulge when the e-book doesn’t cost me anything. I figure I’m going to spend money on a book, I want to have it to read it again later if it were any good and have it on a shelf to share with someone else who may wish to read it. Bottom line is that there’s NOTHING quite like a good book, held in your hands, opening the door to new worlds, and the library has many more than most of us can ever hold in our living rooms. Four Chaplains Memorial Day – On February 3, 1943 four heroes sacrificed their lives to save others. Their sacrifice will never be forgotten. 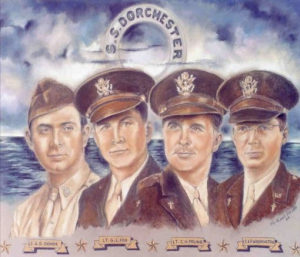 Four chaplains, George Fox, Alexander Goode, Clark Poling and John Washington, gave up their life belts and lives when the SS Dorchester was torpedoed off Greenland during WWII. 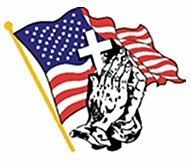 The Four Chaplains, also referred to as “the Immortal Chaplains” were US Army Chaplains who gave their lives for other civilian and military personnel while their ship sank. They helped other soldiers board the lifeboats, gave up their own life jackets when the supply ran out, joined arms, said prayers and sang hymns as they went down with the ship. These men epitomize the word heroic, and the legacy of their sacrifice and the way they lived their lives carrying out the work of God right to their last breath should inspire us all, every single day. God bless them, and men like them. Super Bowl LIII (53) – Not something we will be watching this year, or any year, until or unless the idiot athletes stop protesting our anthem. Now the Puppy Bowl – that’s another matter entirely! 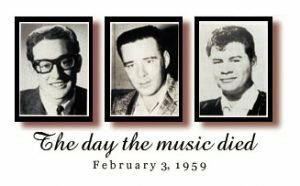 1959 – Rock singers Buddy Holly, Richie Valens and the Big Bopper died in a plane crash. 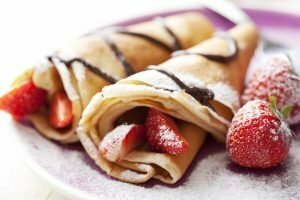 Crepes Day – This one is an extension of Candlemas. In France they call this one la Chandeleur, or jour des crepes. Not only do the French eat a lot of crepes today, but they also do a bit of fortune telling while they are making them. The tradition is to hold a coin in their writing hand, and a crepe pan in the other, and flip the crepe into the air. If they manage to catch the crepe in the pan, the family will be prosperous for the rest of the year. I don’t get what the coin is all about, but it is still interesting, right? I’d never be able to catch the crepe in the pan – with or without it being in my dominant hand. There are all kinds of French proverbs and sayings for Chandeleur, and here are a few. Chandeleur couverte, quarante jours de perte Candlemas covered (in snow), forty days lost. Rosée à la Chandeleur, hiver à sa dernière heure Dew on Candlemas, winter at its final hour. Heavenly Hash Day – I am using a couple of new food celebration calendars, and this celebration came up that I hadn’t seen before. I had to go looking for what in the world Heavenly Hash is, and I found a variety of results. The general idea is that this is a dessert that is considered to be comfort food, often made by grandmothers and thought of with great nostalgia. 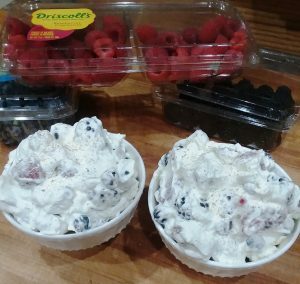 It appears that the main ingredients are canned fruit, drained, mini marshmallows and either sour cream, whipped cream or cool whip. There are variations in the fruit used, sometimes shredded coconut is added, but the basic idea is to mix it all up, then get it cold in the fridge for a few hours. 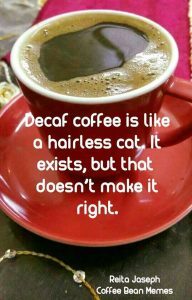 Sounds a lot like the Ambrosia I make at Thanksgiving! 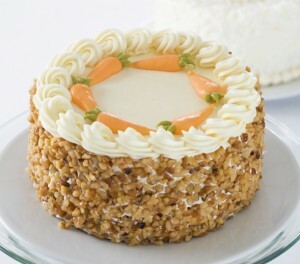 National Carrot Cake Day – The first wild carrots were red, white, yellow and purple. It took 16th-century Dutch farmers crossing a red with a yellow to create the carrots we enjoy today. I thought it was interesting to read that the Queen Anne’s Lace flower/weed is actually a wild carrot. I had no idea! ALSO, and this one sounds pretty icky to me – in the 1930’s Jell-O had a carrot pie flavored gelatin. National Pork Rind Day – Pork rinds are a very popular snack on not only Super Bowl Sunday, but all the time. 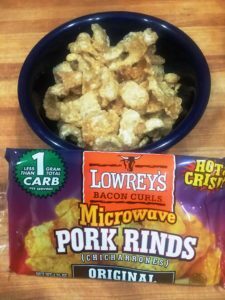 They are the only true low carb crunchy snack available to the keto and low-carb dieters out there and are used in recipes in place of breading too. I’m not a HUGE fan. I can eat them, but I don’t really eat more than a couple before I’m over it. If you enjoy them though, this day is for you! 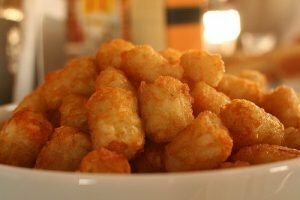 National Tater Tot Day – This is an interesting one because while I was looking for the origins of the celebration and perhaps some unusual recipes using tater tots (which of course are self-explanatory to anyone who has enjoyed them forever!). What I found was that this is Tater Tot day because a lot of people tweeted about it and said that it was . . . and that can change. Next year it might be in an entirely different month! Apparently, some computer and numbers junkie somewhere found via some algorithm that this is the day this year, so grab a bag of tater tots and whip out a tater tot casserole for dinner tonight! I think we may have bags of either broccoli cheese tots or cauliflower tots hanging out in the freezer as a lower carb alternative. Now I just have to figure out what to have for dinner to go with them! I’m earlier with this today than I was yesterday, but since hubby is really hungry for lunch and I have no idea what we are having, I’d better go forage through the fridge, then get busy doing projects. God bless you and I’ll see you on Monday!